With the recent book of Ethereum (ETH) one of the coins forked from it has also shown a great increase in interest and as a direct result a huge price increase as well – Expanse (EXP). This Ethereum fork is very similar in terms of usage and mining to Ethereum, though there are some differences, so we have decided to prepare a quick guide focused on setting up the Expanse daemon for local mining as well as using the GUI wallet that the coin has available and then how to start solo mining and pool mining. Again, since this is an Ethereum fork many of the things are very similar, so if you are already familiar with Ethereum, then getting into Expanse will be very easy for you, otherwise the guide should help you. We are going to be focusing on Windows in our example, though most of the things should be applicable to other operating systems as well. 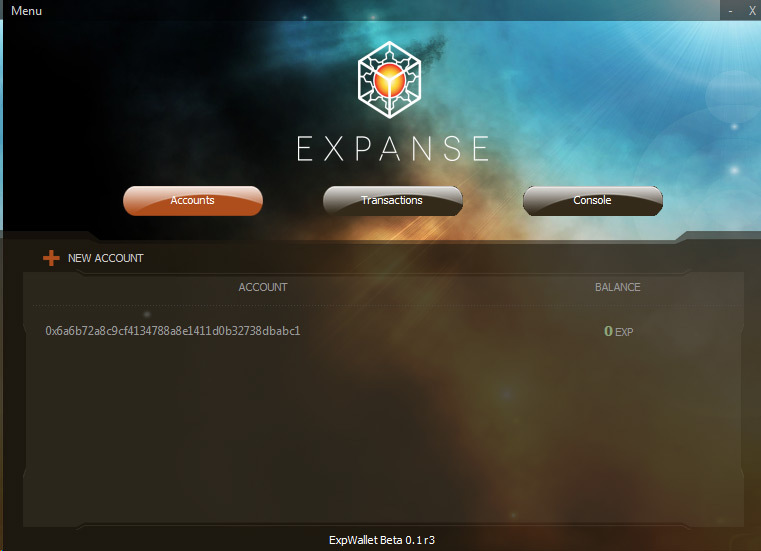 Do note that Expanse (EXP) is based on the Go Ethereum client and the GUI wallet is currently only available for Windows and Mac, for Linux you will have to stick to the console commands for using the wallet. Mining Expanse (EXP) is pretty much the same as with Ethereum, you are going to be using ethminer that is OpenCL-based, but works with Nvidia GPUs as well and there is also a CUDA version available. Both miners as well as the gexp and expwallet with some Batch files (.BAT) are included in the downloadable archive below to make it easy to get started with everything on Windows. Due to the much lower total network hashrate that Expanse (EXP) currently has it is viable to try solo mining the coin if you have multiple AMD or Nvidia GPUs in order toget better profit than mining solo. Do note however that solo mining depends on your luck as well, so if you want to be on the safe side you can stick to pool mining. How can we mine this on a cloud mining service?? Jack, unfortunately you can’t use a traditional cloud mining service for mining it… though with services like Nicehash you can rent hashrate and point it to a pool of your choice. Perfect introduction into EXP mining. I set up a mining pool in central Europe (Germany). Server is running on a dedicated hardware and running with a redundant gexp node on a backup server. The pool fee is 0% and the minimum payout 0.5EXP. Would be great is some of you give it a try. Anyway feedback is always welcome. Where do you put your wallet address in the BAT file? I tried this, but it doesn’t seem to work. Should I change something in the BAT file?